art direction Archives - Ellev - The Best Full-Service, Award-Winning Ad Agency in the Carolinas! 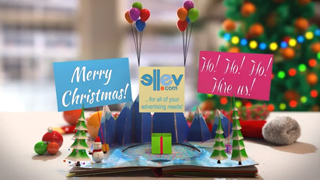 On behalf of everyone at Ellev, we hope you have a happy holidays and wonderful New Year! And don’t forget you can always “Ho-Ho-Ho-HIRE US!” for any of your advertising, marketing, or design needs! The New York Times latest redesign features a sleeker and cleaner look, optimized for desktops and tablets. Seems they maybe have been looking at some of Ellev’s designs for examples! 29 Ways To Be Creative by art director Islam Abudaoud. We, at Ellev, use these and many more to stay on top of our creative game!